Ready to start a life full of travel and adventure, and hit the open road? Wanting to find a trailer that will feel like a home away from home? If so then you need to head to your local Airstream dealer in Wisconsin Ewald’s Airstream of Wisconsin and see one of the many new and used Airstream trailers for sale. This Wisconsin Airstream dealer has everything from the compact Airstream Basecamp for sale, to a family-friendly Airstream Flying Cloud and so much more. Here at Ewald’s Airstream of Wisconsin, we understand that each person that walks through our doors each have different wants and needs. Which is why we have a team of people who are happy to answer any and all questions you may have about one of the many new and used Airstream trailers for sale in Franklin, WI. That includes questions about the Airstream Flying Cloud line. The Flying Cloud is designed to move effortlessly from place to place, and with an abundance of floor plans, it fits the needs of everyone from weekend warriors, to long-term travelers. Plus with a convent design and storage space, the Flying Cloud is perfect for long-term traveling and storage. When you first step into this Airstream trailer, you are greeted with soft, warm fabrics and light countertops and wood tones to create a feeling of both bright and open as well as cozy. Large Panoramic windows bring the outside in and give you all the natural light you could want. 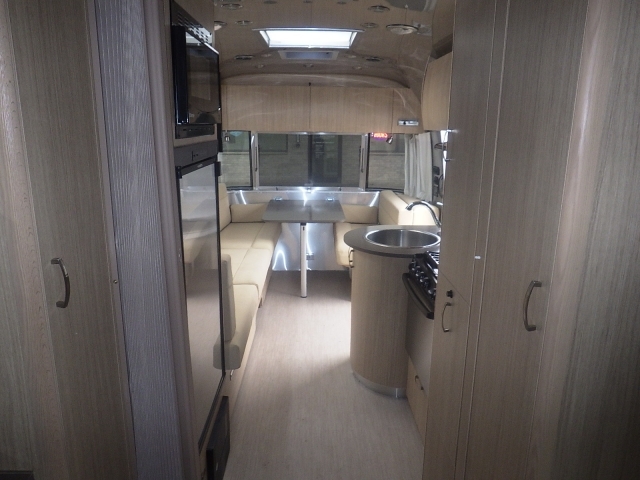 This Airstream travel trailer also features a spacious galley kitchen with stainless steel appliances. A cover for the sink and a small pop up side table allow for plenty of space to prepare and serve food. A private sleeping area gives you the peace you have been looking for, and curved built-in wardrobes will enable you to store your clothes without having to deal with living out of a suitcase. Never worry about your kids being bored on a rain day ever again because this Airstream trailer for sale also comes with many impressive technology features to keep your kids entertained for hours on end. The Airstream Flying Cloud comes with Samsung LED HD TVs with surround sound, a Blu-Ray and DVD player and even Solar pre-wire kit and optional solar panel and battery upgrade package. Never worry about your Airstream trailer feeling cramped and cluttered, with storage features every way you turn there will always be a place to store your things. What makes the Airstream trailers for sale so impressive is the state of the art aerodynamic design. Made so that everyone from a novice driver, to a veteran trailer owner, can confidently tow this travel trailer. Not only that but because this Airstream Flying Cloud aerodynamic there will be less drag and less pain at the pump. 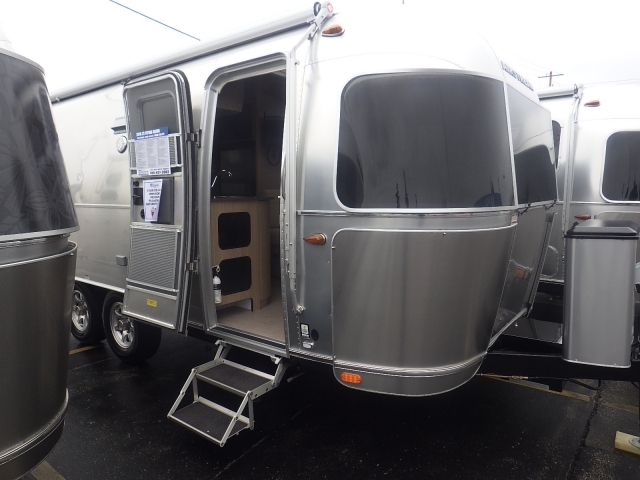 When you are looking for an Airstream trailer for sale that is going to be perfect for a family adventure come and see one of the many Airstream Flying Clouds for sale in Franklin, WI. When you are looking for an Airstream dealer near you, come to Ewald’s Airstream of Wisconsin at 6269 S 108th St, Franklin, WI 53132.